Can you give a quick overview of yourself? Protostack is based in Brisbane Australia and have been operating since 2008. We started because we were frustrated with the prototyping/perf boards available on the market and decided to design our own. The result was a family of boards that could be stacked together. Hence the name. What’s the coolest project you’ve seen? I’m a really big fan of home made CPU’s like this one. A CPU built entirely with logic chips. Where do you find inspiration for your products, hacks and projects? 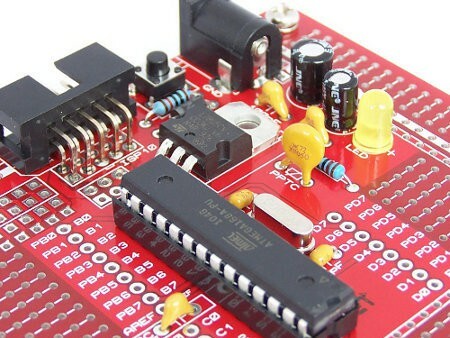 A lot of our tutorials teach the fundamentals of AVR microcontrollers and basic components. So when we write a new tutorial we look at the most likely functionality someone might need and go from there. We also get requests from our customers to write tutorials on specific topics. The actual projects we use in the tutorials are often a bit simple and sometimes a bit silly. For example we have one where we do an LED sweep to show that the microcontroller is busy doing something. When a button is pressed, an interrupt gets fired, and an LED blinks 3 times then the sweep resumes [link]. The point isn’t what we did but how we did it. We only have a small number of products that we design ourselves. Much of the inspiration for these products come from our customers. For instance the AVR 28 pin board is up to its 5th revision and if you were to compare it to the original, you would hardly know it was the same board. We are massively thankful to all our customers who provided input. What would you recommend to someone interested in learning electronics? I’m a big believer in learning by doing. Doing a course or reading a book is passive and in my opinion a bit boring. Tinkering is 1000 times more engaging. Doing tutorials is a really good start. Not following the instructions and trying some of your own ideas is even better. Do you have time to build personal electronic projects? Not as much time as I would like, but I guess that is a common response. I recently built a desk for my son. It took my almost a year, but the first question was “what kind of LED’s should we use ?” The desk is done now and has an RGB color mixer, lightbox with dimmer, fan controllers and a control panel with LCD screen [link] (you must be logged into Facebook). It all runs on a single AVR microcontroller and a protostack 28 pin AVR board. 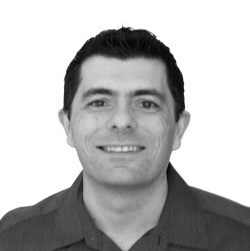 Where do you see Protostack in 5 years? Many more products. 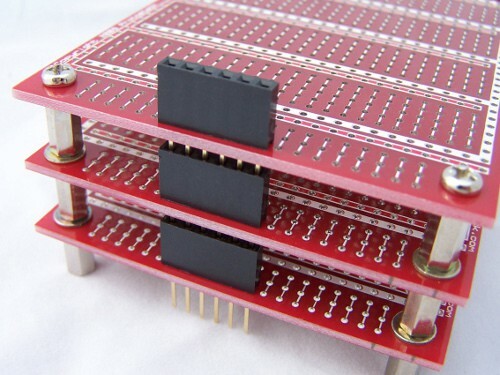 Boards of different sizes, boards for different microcontrollers, plug in boards for stand alone modules and so on. Got a million ideas, maybe 1 or 2 are good. We would love to have brick and mortar retail partners. We also want to increase the number of tutorials, run classes and maybe even have a protostack makerspace.